In this day and age, e-mails are greatly preferred by many industries as a means of sending important documents. However, other platforms of communication are still being used by many businesses and organizations. Fax machines are a great example. Sending fax is simple—you just place the document in the fax machine and dial the recipient’s fax number. That’s it! But there is actually a more professional way of sending in your fax. It is known to be an etiquette to let your receiver know who your fax is addressed to and how many pages will be included. Our Sample Fax Cover Sheets will do just that. With many documents you need to be taken care of, convenience will be an effective way of getting things done efficiently. Since these are in Word Document format, it will be easy to edit and send—both for traditional and online fax. Fax machines are still a great means of sending critical information. This is why large businesses still use fax machines as a convenient way of sharing data and make it easier to collaborate on projects. 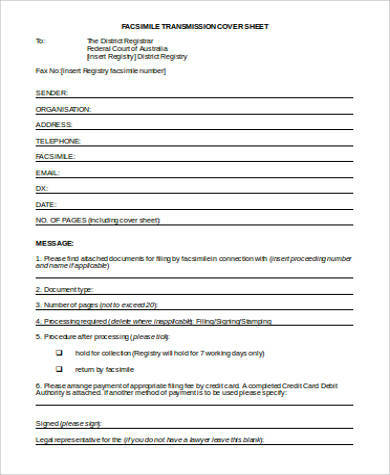 When sending a fax, make sure to adhere to proper fax etiquette, such as sending a fax sheet before sending the documents. 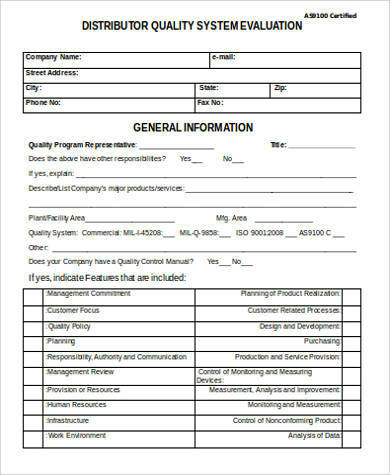 Our fax sheet templates make your faxes look more polished and crucial. 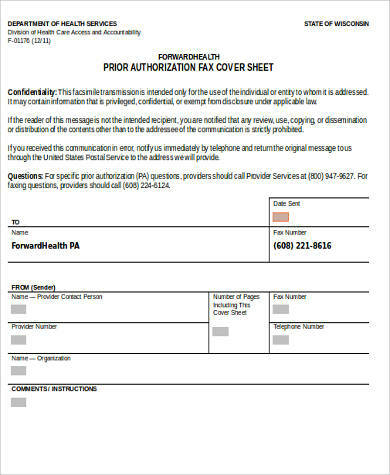 Fax sheets all have the same goals, but what goes into a fax cover sheet? The date when fax was sent. The recipient’s details. This includes the name, position, and the name of the company. 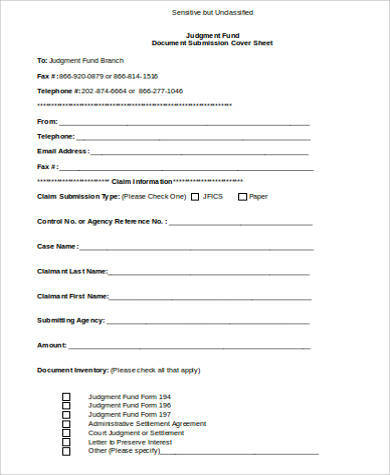 The sender’s information such as name, position, and the name of the company. The number of pages that would be included in the fax. Clear instructions. 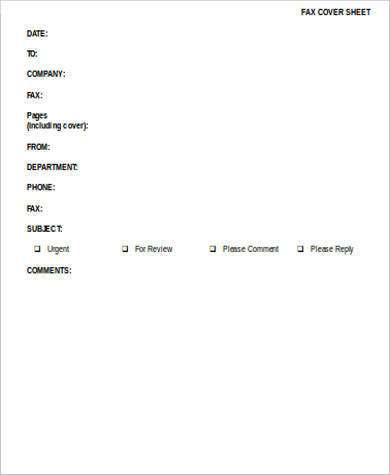 This is to let the recipient know what are the necessary steps to be done after receiving the fax. Privacy note. This is where you indicate what the fax is about and whether or not it contains confidential information. Being in the age where technological advancement is rampant, it still has not diminished the importance of disseminating important files and documents through fax. This is because sending fax is less costly and provides a rapid manner of distributing materials to the recipient. 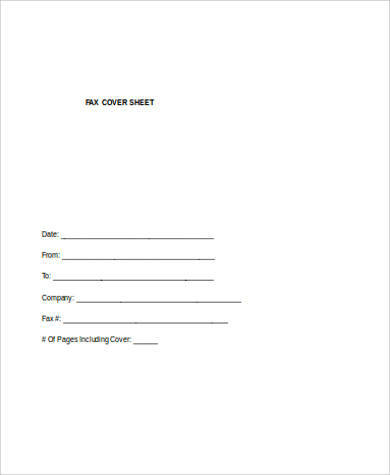 You can look into our Sample Blank Fax Cover Sheets and Sample Office Fax Cover Sheets more samples of fax sheets that can be for personal and office. In offices with large manpower, using our Sample Modern Fax Cover Sheets ensures that what you send goes to the right person. These sheets let the recipient get a gist of what it going to be received in the fax and set their expectations. With the use of fax sheets, recipients can easily let you know whether the entire fax has come through or not. In sending a fax, you need to pay attention to the details you are sending to ensure that small or large mistakes would be avoided. 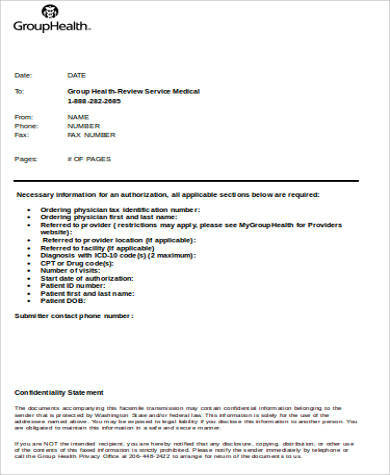 This is why using a fax sheet before sending in the actual document is just as important. This makes your documents look more formal and more important.